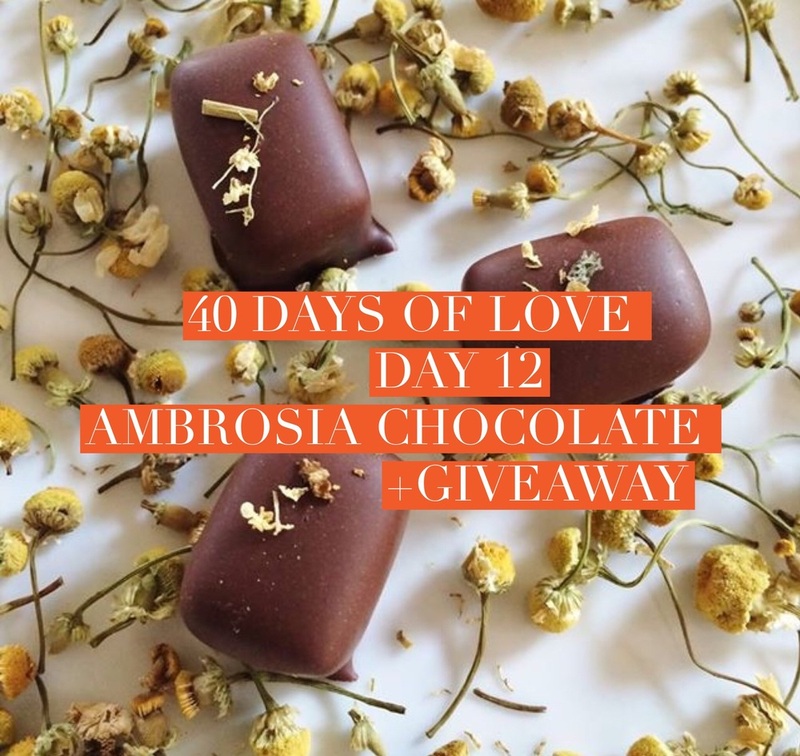 40 Days of Love - Day 12 - Ambrosia Chocolate & Spice Shop + Giveaway! I have a favorite store. This favorite store isn't a clothing shop. They don't carry shoes. No they carry the secret ingredient, love in the form of food. It just also happens to be where my drug of choice resides, chocolate. I'm not a candy person. I can easily say no to pies. But I find it hard to resist chocolate. So, for today's post, I've chosen something that has three things I love rolled into one shop; the shop itself, chocolate and their spices! Oh and tea...so four things I love in one tiny, flavor packed shop. When you walk into Ambrosia, you're transported back in time. 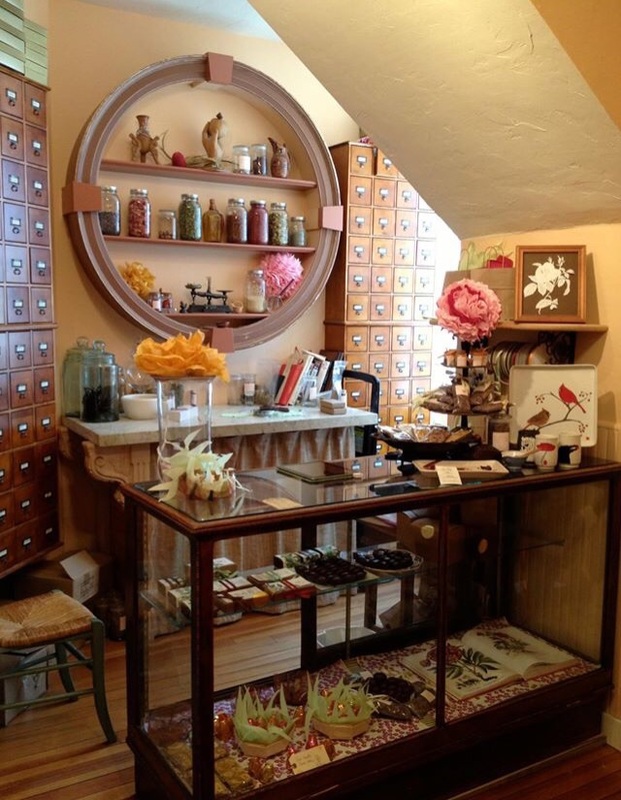 From the antique card catalog that holds spices, to the beautiful packaging of the spices, and the special treat of gift wrapping. Claudia is one of the owners of this beautiful little shop, and I could sit and listen to her all day. She is a gentle, peaceful soul. You'll feel that peace cascade over you as you walk into her shop. 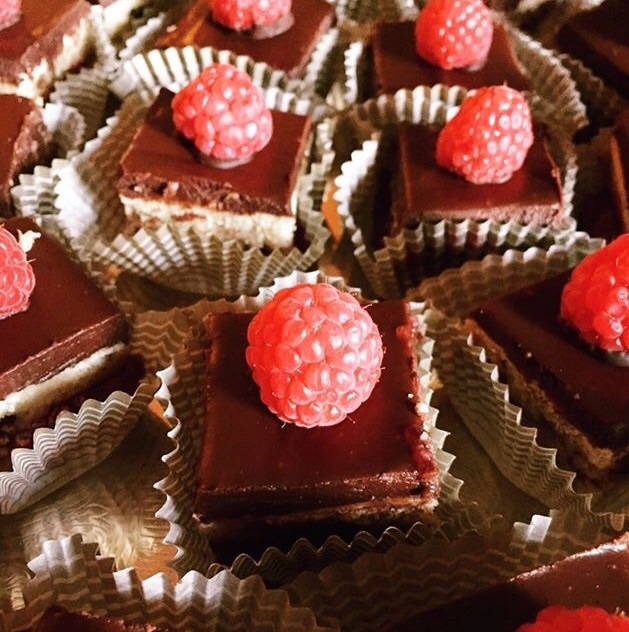 The smell of the divine, freshly made chocolates wafts through the air. The spices tickle your nose, and inspire you to feel as though you could cook anything. 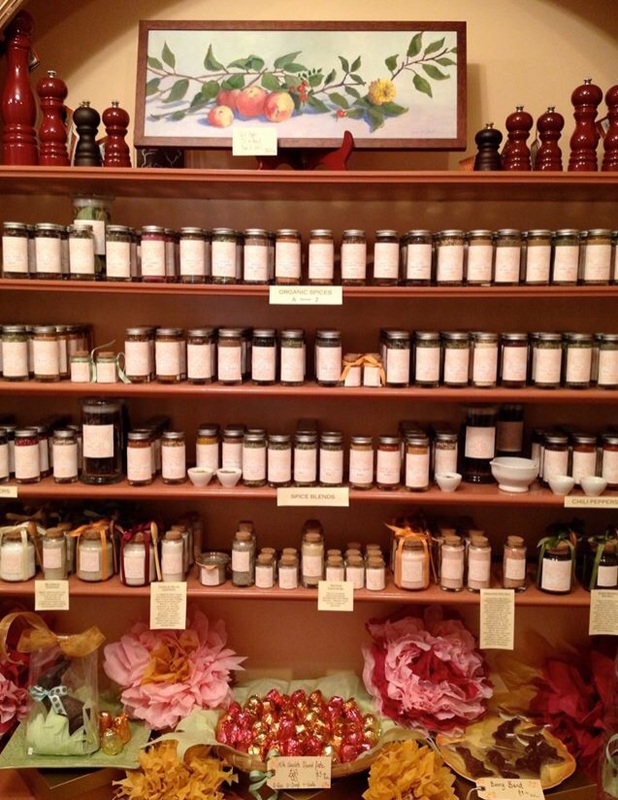 Many of the restaurants around town use Ambrosia's spices and for good reason. Claudia grows many of her own, as well as bringing several fair-trade, hard to come by spices into the shop. That combination could transform any kitchen and cook into a quality chef. 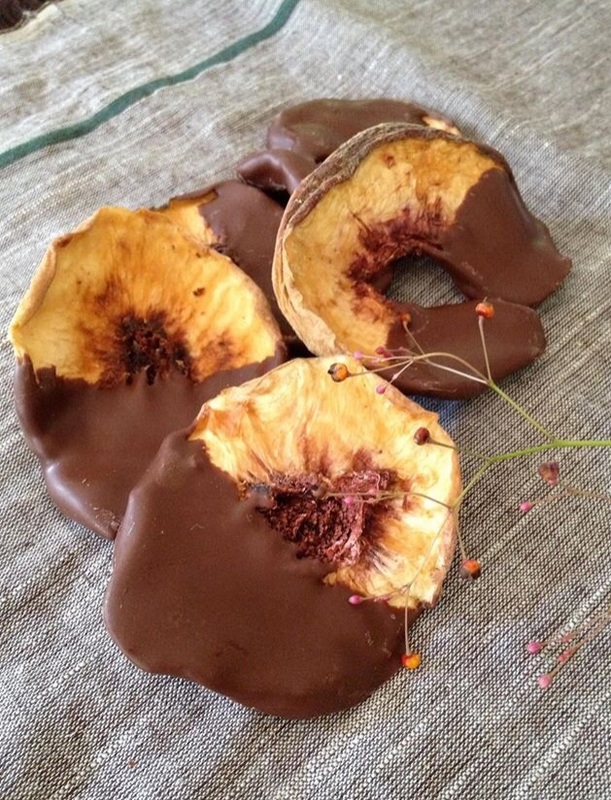 One of my favorite combinations, and I never thought I would say this, is the Monkey Bar, which is curried chocolate with banana chips. It's so unusual, yet the flavors meld unbelievably well, and you won't want to share or tell your friends for fear you won't get more. Ooops! I love the feeling of browsing through her shop. It's a small store and I never feel rushed or awkward, which I can feel in other stores. Often you feel the shop keepers breathing down your neck, wondering if you're going to buy something or just walk out. That's not the way at Ambrosia. You will feel at home and welcomed. Your questions will be answered in a way that makes you feel as though you are asking all the right questions. 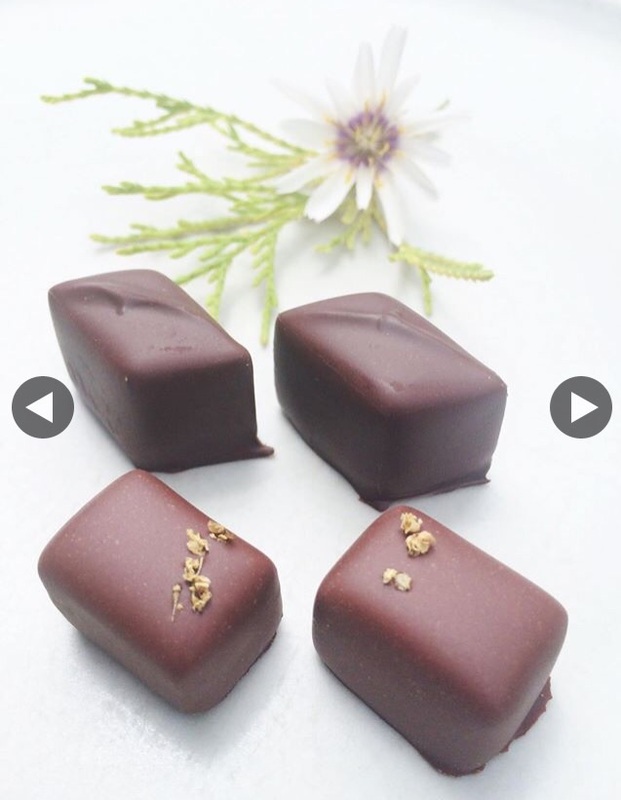 If you like to have an experience while shopping, you love to cook, you love chocolate, or all of the above, please make sure to check out Ambrosia. Let me know about your experience! Enter to win a gift certificate to this incredible store by joining the LoveLetter and sharing this post. Make sure to check out their website or stop into their store at 29 Centre Street on Nantucket Island. If you've liked this post and would like more love sent to your email, join the LoveLetter HERE, it's free! The way love should be. Something that has changed my life is meditation and taking care of my chakras. I want to shout from the roof-tops how much my life has changed and spread the word how you can do it too! What I looked like over a year ago. Tired all the time- emotionally, physically and mentally drained. Bouts of anger. Easily blown off the handle. Lack of understanding of othersLack of compassion for others. Trouble with mindfulness.Anxiety.Caring what other people thought of me. Lack of strength and fortitude in my beliefs.Weight issues.Feeling lost.Worrying all the time about the past, present and future. In short, this sums up what was happening in my world a little over a year ago. I was also a fairly positive, happy person to be around but I had so much inner conflict. So did others around me, so I just assumed it was normal. Today I don't even recognize the person I once was, and I am so grateful for the change. This week, I'd like to share with you how this transition came about. It was set into motion by a series of events that allowed me to be more receptive to change, which in turn led me down a very distinct and enlightening path. The Nantucket Yoga Festival 2014. I walked out of that weekend in what I refer to as the love bubble. It was truly incrediable! This weekend allowed me to be more receptive and ready to move to the next step in change. On Thursday of that week, Cate Raphael invited me to have an Akashic Records reading. She asked me if I would like to have my chakras cleared, but I didn't know what to think because I had never heard of chakras! I said 'yes' with hesitation. She had me hold a bunch of stones and off we went. When I left, I felt amazing! I felt my world had changed, and truly it had. My worries melted away, and I was left with this euphoric feeling that I wanted all day, everyday. My problem was I didn't know where to go from there. I researched for a bit, finding out that the chakras are energy points within you but got off track going any further. Then Cate posted something about Belinda Davidson and the School of the Modern Mystic. It seemed like the direction I wanted to take after a lot of thought and mediating on it, so I decided to sign up for Belinda's course. My life now, less than a year later, feels peaceful and in harmony. I feel I am capable of so much. I feel strong mentally, emotionally, physically, spiritually and financially. I feel like a bright light in the world and I am only getting stronger. I have gained patience while finding my life's purpose. I am secure in myself and my body. Which is huge for me because I always struggled with liking and loving my body. I have gained peace and strength in all aspects of my life. Most of all, I am happy! My relationships have improved, and I am able to protect myself so I am not affected by other people's energies. The course has taught me to heal myself, how to bring what I need into my life, and to find harmony in my life. My skin is clearer, (which is a huge bonus!) People see me and think I'm in my 20s not 30s and I was also able to heal and cure a troubling medical issue I've had since I was a teenager. The best part is that I accomplished this on my own with the guidance of the people at SOMM. That experience has been empowering in its own right. I am writing this because I love how my life has changed from this simple thing of taking care of my chakras. I want this for everyone and I believe this can help anyone and everyone. Personally, I believe we should teach this course to our children to afford them this knowledge and these abilities at an early age. I wish I learned all of this before becoming a teenager and an adult. I want people to feel that their lives are in balance, and that they are living their life's purpose. When something comes along that rocks their boat, they feel more than capable of handling it. I also want people to be able to manifest what they want and need into their lives effortlessly. I want each person in the world to feel like a bright light, to shine and to inspire others to shine. This course teaches these things, and it is a fantastic place to start this amazing journey or continue your development. 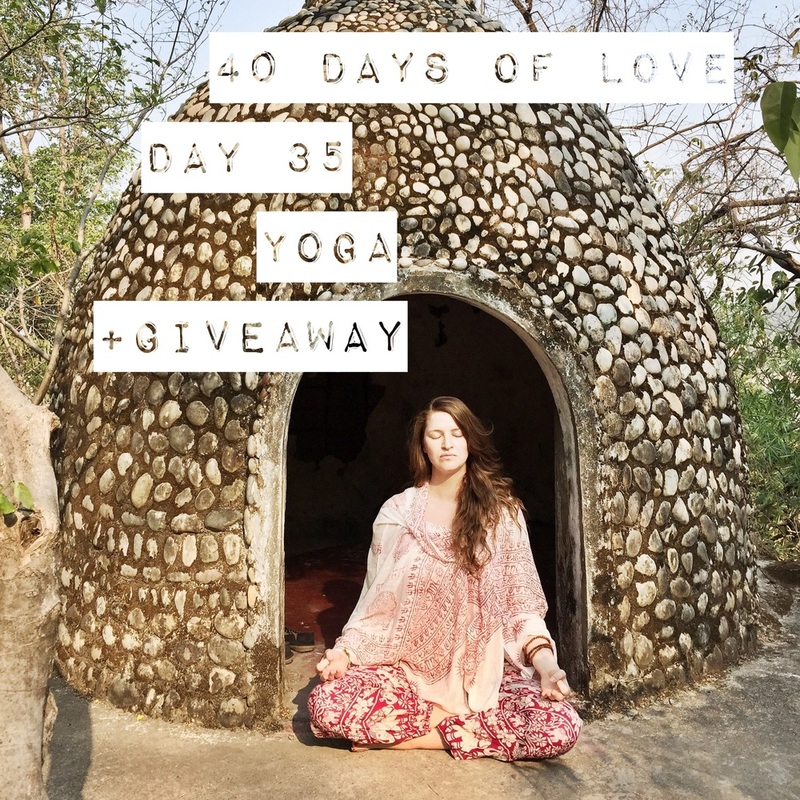 Belinda has a chakra meditation for busy people and I would love for you to win this giveaway as well as the journey to the white meditation that will help raise for vibration to love and find peace within yourself. Enter to win by signing up for the newsletter at www.eepurl.com/bauHbb and sharing this post or writing a comment below on something or someone you love. Usually this runs for just under $40 but you're able to receive this for more than half the price. It's amazing and both meditations I do everyday. If you liked this post and would like more love sent to you on a weekly basis, subscribe here. It's free, just the way love should be. 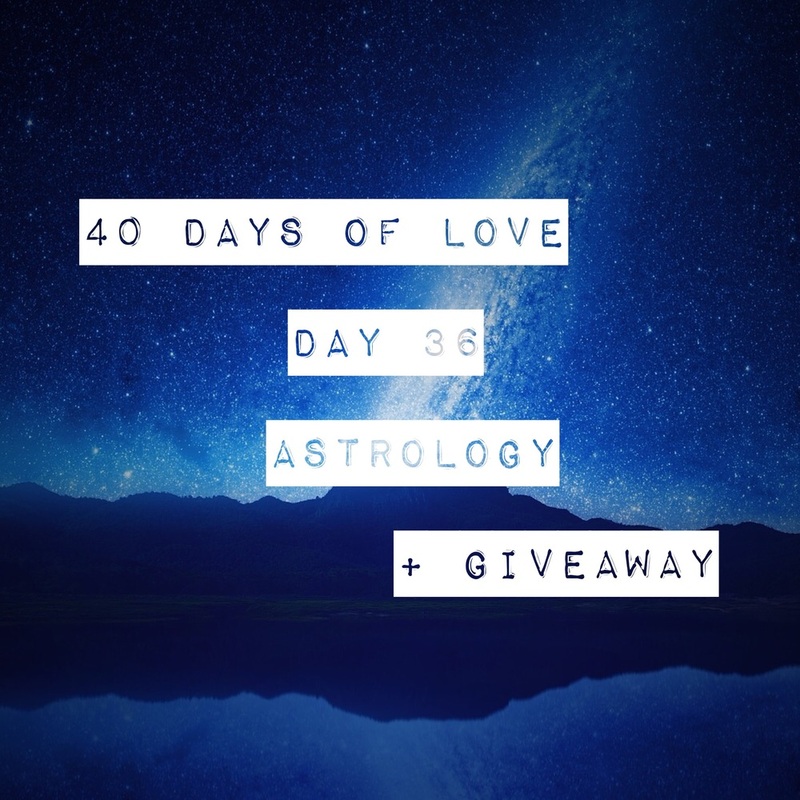 40 Days of Love - Day 4 - Nantucket Skin + Giveaway! Since I was a little girl, my fingernails have been important to me. I remember my Aunt Donna painting my nails at my grandmother’s kitchen table. I recall how happy I was and how beautiful I felt. I remember gliding down the stairs, just staring at my beautiful, freshly-painted nails. I felt like a princess. Things have not changed much since I was a little girl. I still feel at my best when I have my nails painted. This act makes me feel put together. I’ve tried many brands over the years and I have a few favorites for sure. About two years ago, I began making changes to which products I use because of chemicals and by happenstance, I discovered Nantucket Skin’s Nail Polish line. It’s free of many of the chemicals you would find in other brands. I am shocked to see what some of these chemicals can do to the body. Luckily, Nantucket Skin is free of these, plus the nail polish itself is long lasting, foolproof to apply, and comes in beautiful colors. I especially love that each one has a fun Nantucket themed name. My favorites are; Nantucket Bride (A pinky white), Lobster Trap Takeout (a bright coral red), Last Call at The Box (classic red) and Cranberry Festival (a deep red). I want you to fall in love with this nail polish line as much as I have. Enter to win a gift certificate to Nantucket Skin! Make sure to check out their website, www.NantucketSkin.com. You may purchase their nail polishes as well as their other amazing products. Enjoy! Enter to win! Win a gift certificate to Nantucket Skin. You'll be able to choose from their amazing selection of Organic, healthy beautiful nail polishes! Check out Nantucket Skin's Website HERE. To enter to win, join our mailing list and share this post or comment below by either tagging someone or something you love. This is just a taste of all the beautiful colors available.